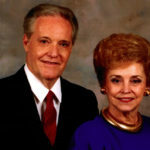 Perhaps the most wonderful publication ever done by the Rex Humbard Foundation is the Prophecy Bible. Thousands of friends from all over the world have received a copy of this beautiful Bible. The Prophecy Bible has been prepared to guide you in a study of Biblical prophecy and to build a firm foundation within you as to what the Bible says about these, “our last days.” There are 6 self-contained prophecy studies. 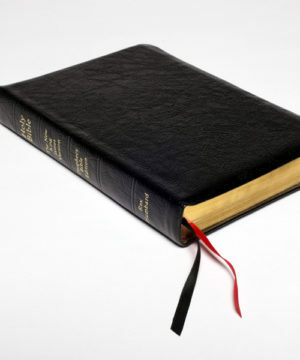 They can be read straight through without looking up scriptures, however, additional scripture references are given. Each verse of scripture that pertains to prophecy is shaded in light red for your convenience. What does the Bible say about Tribulation? Scriptural references to the Millennium. 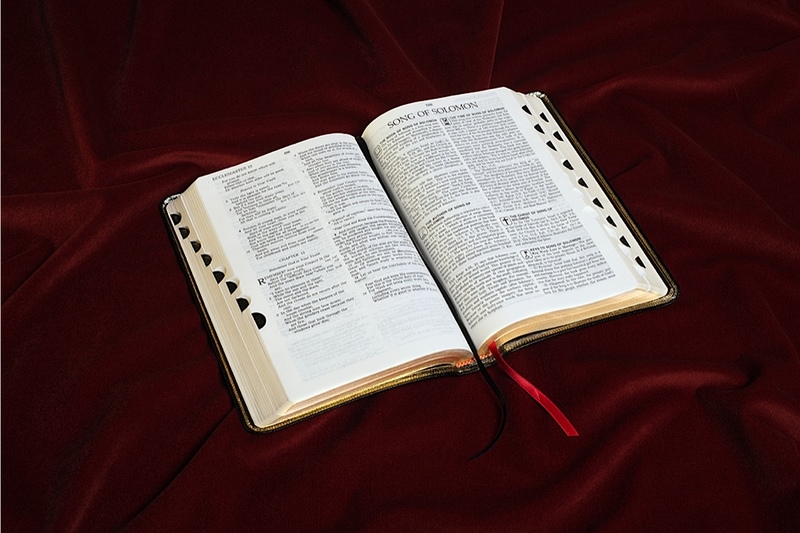 The text for this Bible is the New King James version and has been produced with the conviction that the words of scripture are true to the Hebrew and Greek language that was inspired by God. Since this is the eternal word of God, the Holy scriptures will speak to you with fresh power to give you wisdom that leads you to a deeper walk with our Lord and Savior, Jesus Christ. 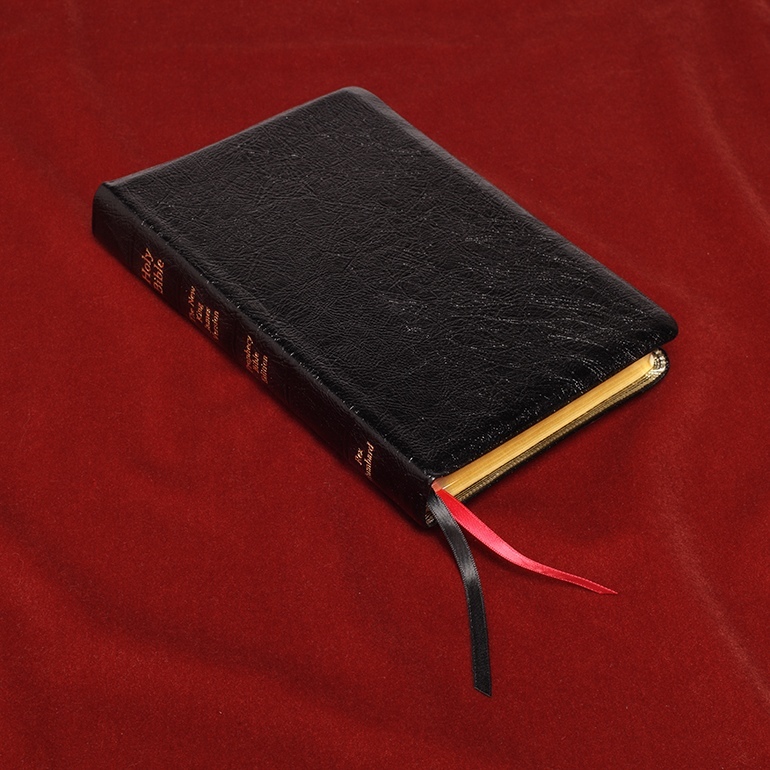 This genuine leather bound addition of the Prophecy Bible is over 1500 pages in length and is easily read. The Prophecy Bible is printed on the finest Bible paper available and has gold edges around each page. 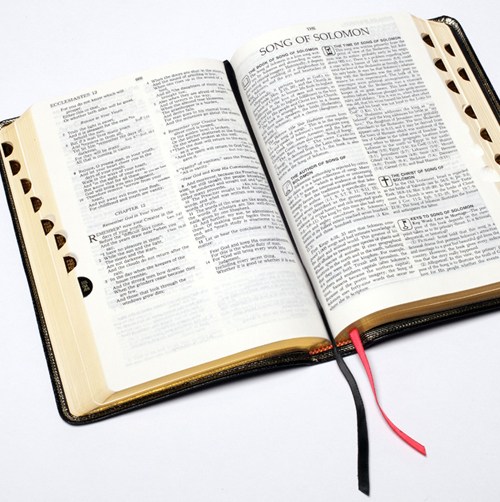 In addition, each book of the Bible and the Bible studies has a tab for easy use, clearly showing the book of the Bible that follows each tab.